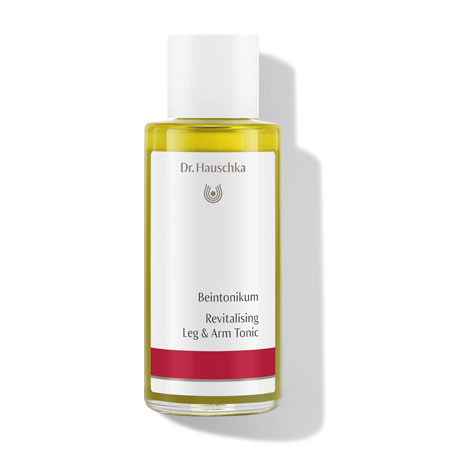 Apply evenly to the legs, feet and arms, massaging towards the heart. Repeat as needed. Allow to absorb before dressing. Wait 30 minutes before putting on compression stockings. Alcohol, Ricinus Communis (Castor) Seed Oil, Borago Officinalis Extract, Water (Aqua), Fragrance (Parfum)*, Linalool*, Limonene*, Citral*, Geraniol*, Citronellol*, Coumarin*.